Indian Television actresses with their onscreen daredevil avatar impress the viewers. Every time the women of television adorn the fighter hat and fierce avatar they are cheered by the audience. Every punch and punchline is rooted and loved by the TV buffs. As an ardent television audience you will have a favourite actress whom you love and admire in the daredevil avatar. 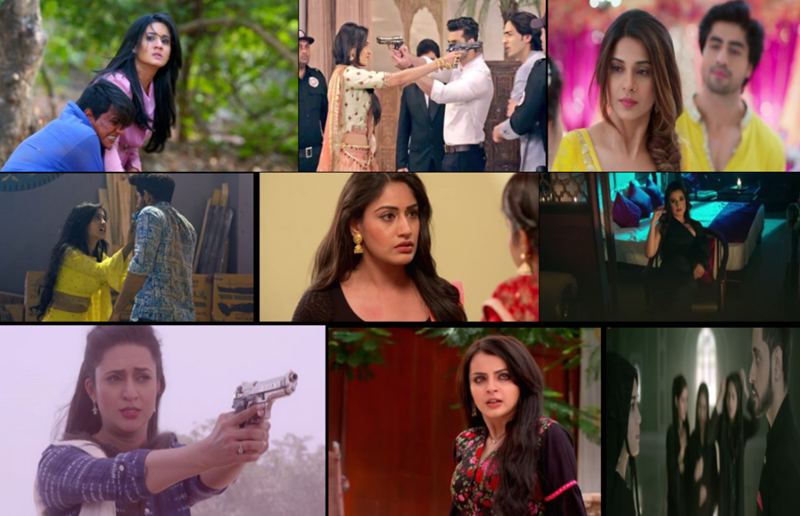 Be it Naira’s sherni avatar in Yeh Rishta Kya Kehlata, Or Anika’s khidkitod and darwazatod avatar in Ishqbaaz, or Gauri’s dabang side in Ishqbaaz, or Avni’s fierce fighting avatar in Naamkarann, or Ishita’s jhansi ki rani avatar in Ye Hai Mohabbatein, or Diya’s protective side in Rishta Likhenge Hum Naya – the television actresses simply rock the daredevil avatar onscreen. The actresses put their best foot forward and slay in the daredevil avatar and and own the scene like a boss. Here is your chance to vote for the best actress in the daredevil avatar in the first half of 2018. The 11th Kesh King Gold Awards - Here's All The On Stage Performance Details And Inside Pictures!